Today’s freebie is a little different. 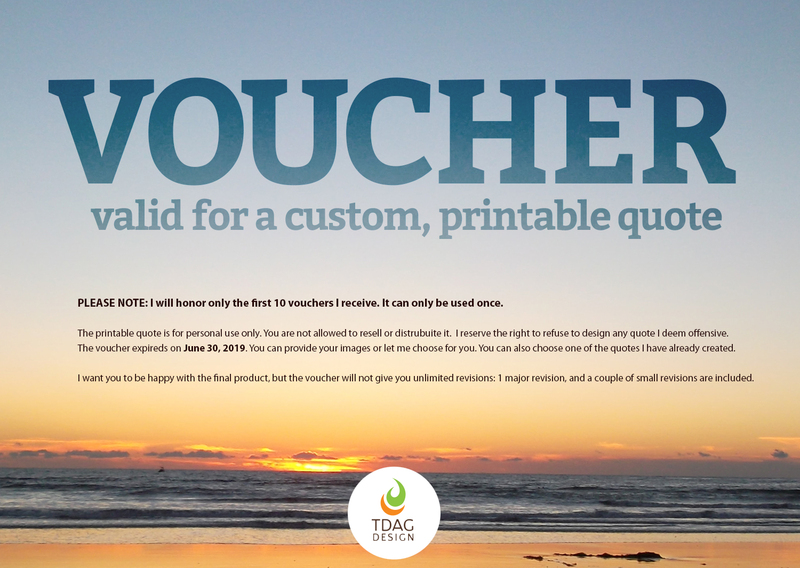 I am offering a voucher valid for a custom, printable quote. I will create a quote specifically for you, and you can print it and hang in your home. You can choose something I have already created or I can make a new one, with your favorite quote and/or image. You can download a voucher from the link below, valid for 1 design. Just one caveat: I will only honor the first 10 voucher. After that, you can purchase one at a 20% OFF. Please note: I reserve the right to refuse any quote I deem offensive.